Three-time New Hampshire Governor and World War II U. S. Ambassador to Great Britain (Court of St. James) John Gilbert Winant, state house portrait, second floor hallway, senate side. Ruth L. Berry, oil on canvas, presented at Representatives Hall to a joint session of the Governor and Council and the General Court of the State of New Hampshire, July 25, 1951, 11:00 a.m. Sherman Adams, governor, Blaylock Atherton, president of the senate, Lane Dwinell, speaker of the house. Dean Dexter photo. 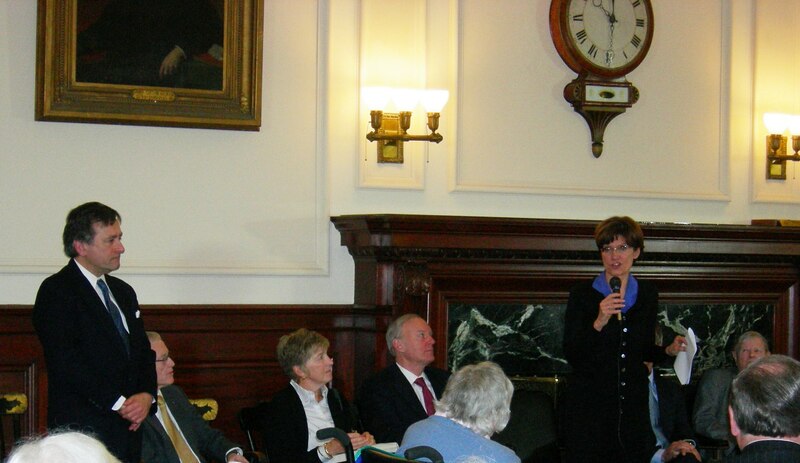 Author Lynne Olson speaking during Governor's reception, Executive Chambers, New Hampshire State House, March 4, 2010. Seated at her immediate right is former Governor Stephen E. Merrill. 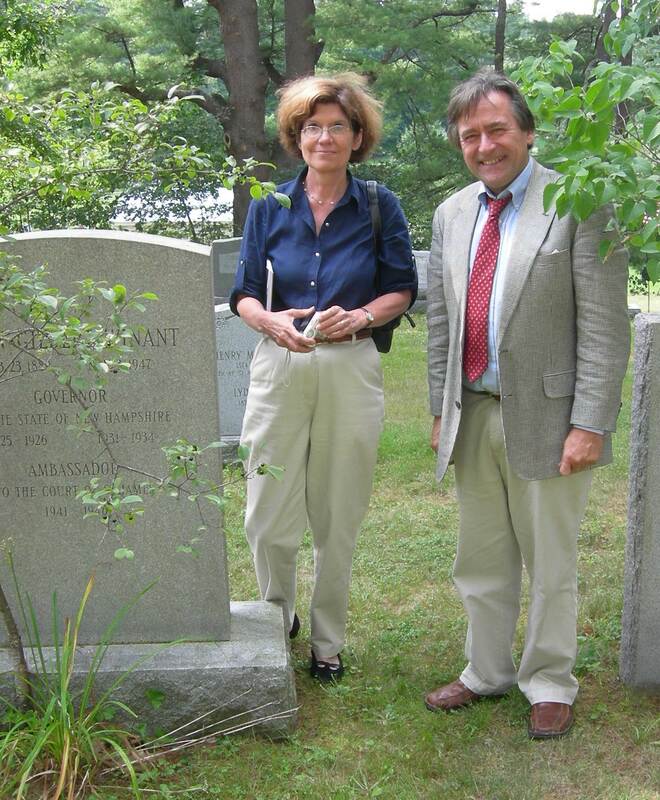 At far right is Rivington Winant, son of the New Hampshire Governor and U.S. 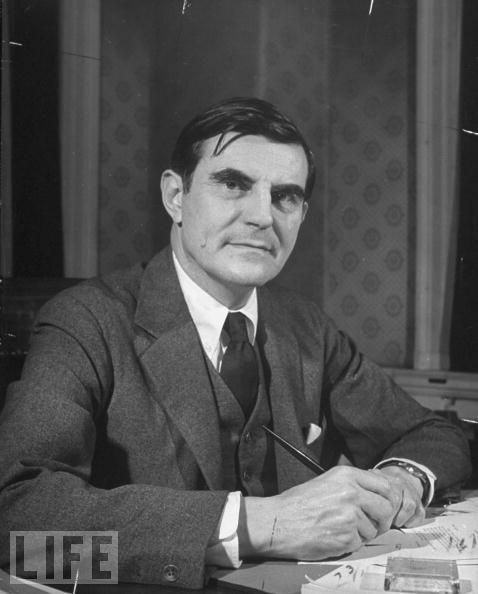 Ambassador John Gilbert Winant, a main subject of her book, Citizens of London. Rivington served 28 years as treasurer of the United Nations. Event emcee, former State Representative Dean Dexter, standing left. 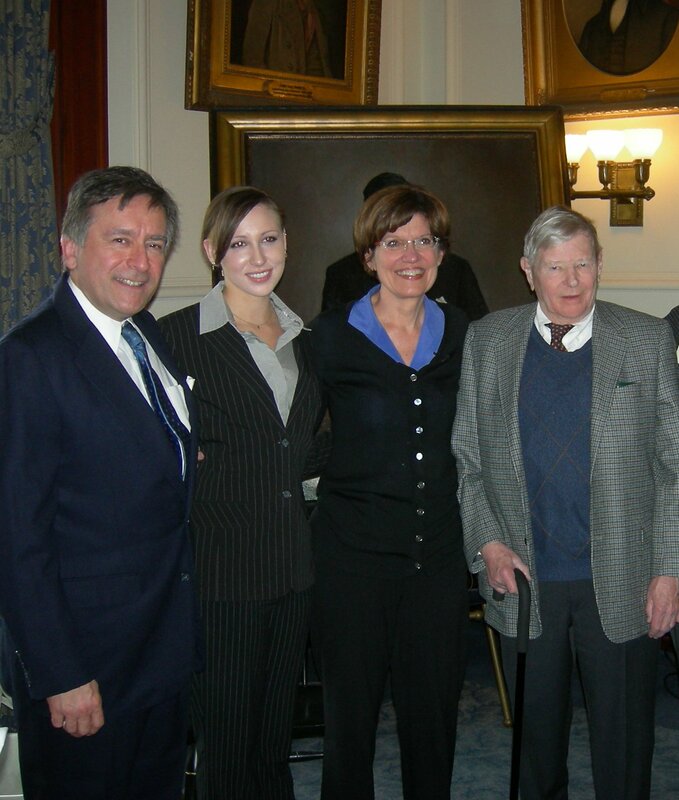 Governor's reception for author Lynne Olson, Executive Chambers, New Hampshire State House, Concord, NH, March 4, 2010. 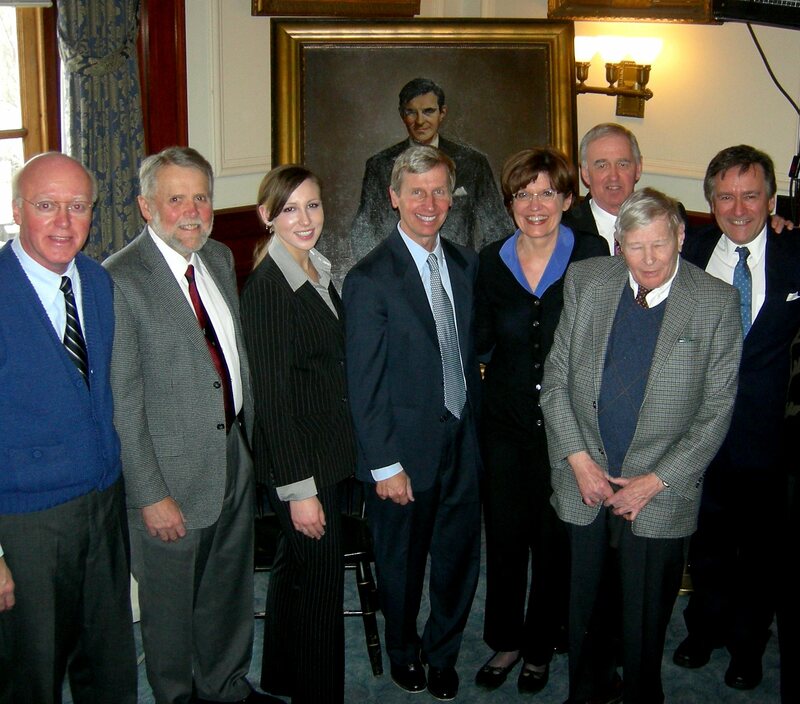 From left NH Secretary of State William M. Gardner event chairman, Mike Pride, author and former editor, Concord Monitor, Abigail Dexter, New Hampshire Governor John Lynch, Olson, Peter Thomson, director, NH Highway Safety Agency, son of the late Governor Meldrim Thomson, Rivington Winant, retired treasurer of the United Nations and son of the late Governor and U.S. Ambassador to London, John Gilbert Winant (portrait in rear), and Dean Dexter, reception emcee. Emcee Dean Dexter and daughter Abigail Dexter with Lynne Olson and Rivington Winant. Seen on the cruiser Quincy in Egypt after the Yalta Conference in February 1945, are (seated, left to right) U.S. Ambassador to the United Kingdom John G. Winant; President Franklin D. Roosevelt; Secretary of State Edward R. Stettinius, Jr.; Special Assistant to the President Harry L. Hopkins; (standing, from right) Assistant to the Secretary of State Charles E. Bohlen; State Department Director of European Affairs H. Freeman Matthews; and others. On the deck of a U.S. warship anchored at Cairo as President Roosevelt conferred with the monarchs of three countries on his homeward journey from the Big Three conference at Yalta, Crimea, are John Winant (left), U.S. Ambassador to Great Britain; Mrs. Anna Roosevelt Boettiger, President Roosevelt's daughter, and Harry Hopkins. 02/14/1945. NARA Photo. British Prime Minister Winston Churchill (center) gestures to residents of Bristol, which came under heavy bombing by Germany. 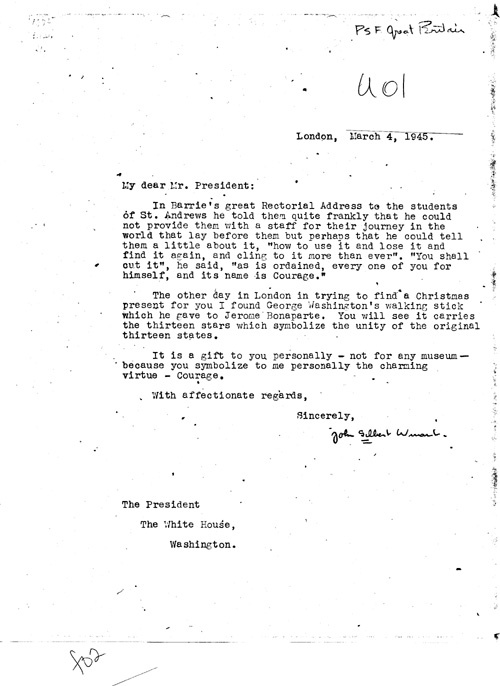 "We shall let them have it back," Churchill told the bombing victims. 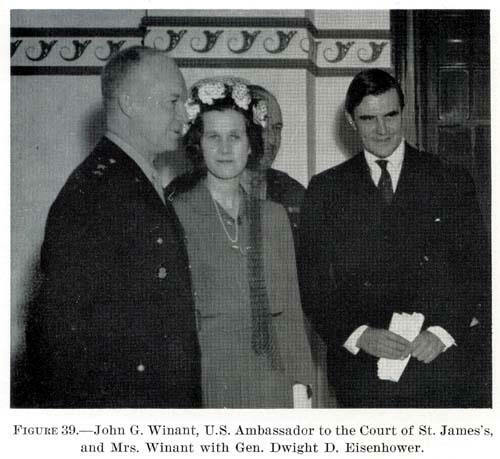 Behind Churchill is American Ambassador John G. Winant. April 22, 1941, Bristol, Gloucestershire, England, UK. 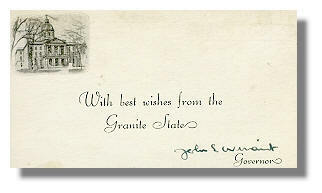 As Governor of New Hampshire, John G. Winant signed legislation in the Executive Chambers, The State House, Concord, New Hampshire. 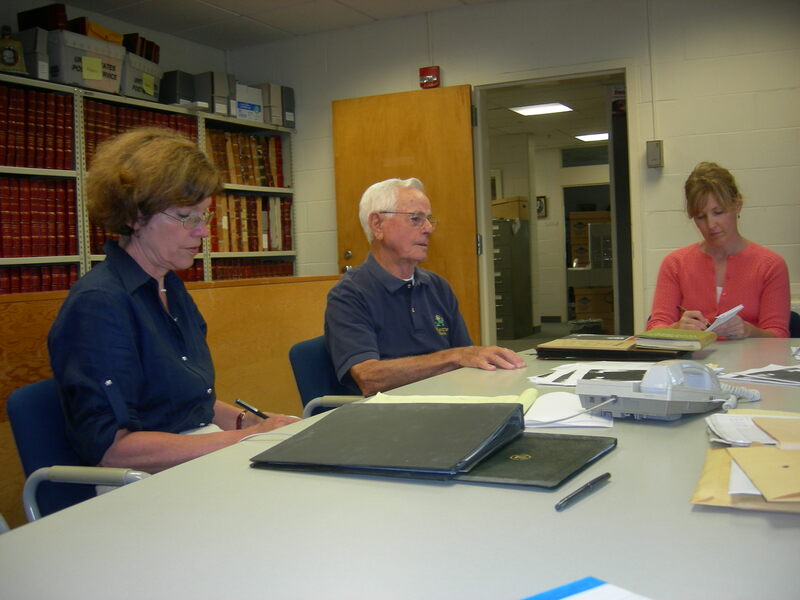 Meeting with Author Lynne Olson at the New Hampshire State Archives, August 25, 2008. 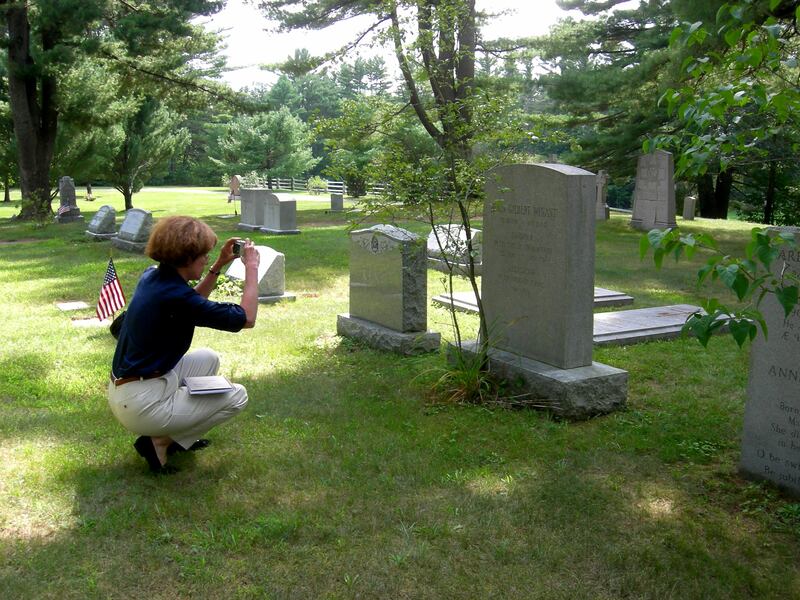 Ms. Olson was in New Hampshire doing research for her book, Citizens of London, later published by Random House in February of 2010. 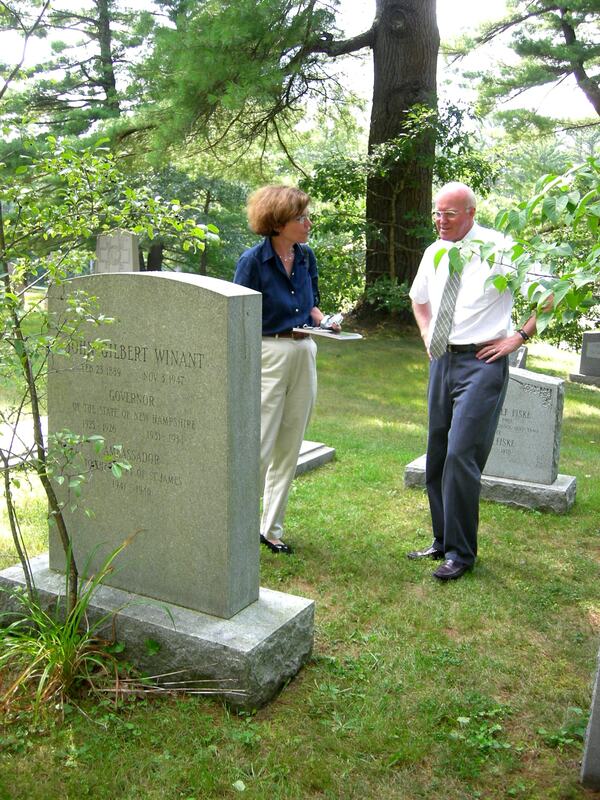 Top: Olson, Lou Sillari, age 92, who met Winant as a schoolboy, and Annmarie Timmins, a reporter with the Concord Monitor. 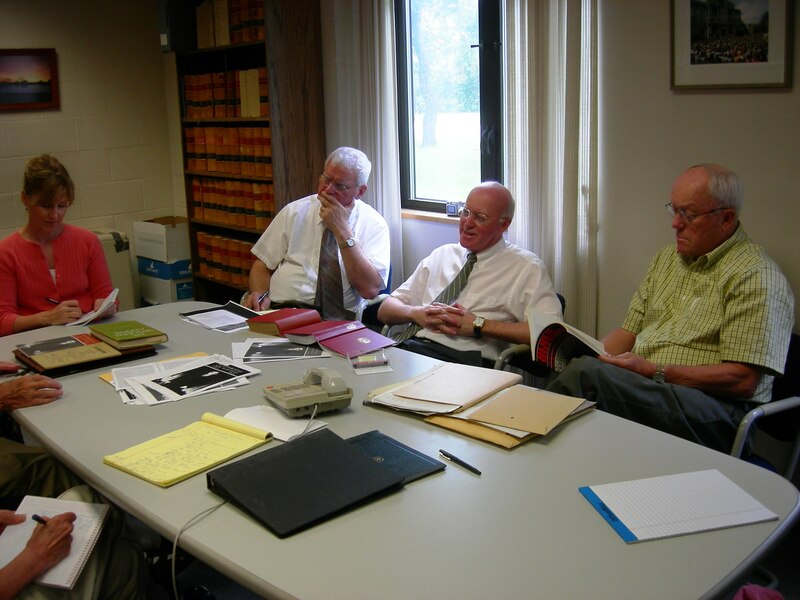 Bottom: Timmins, Dr. Frank C. Mevers, N.H. State Archivist, William M. Gardner, N.H. Secretary of State, and Bert Whittemore, who researched Winant's life for the N.H. 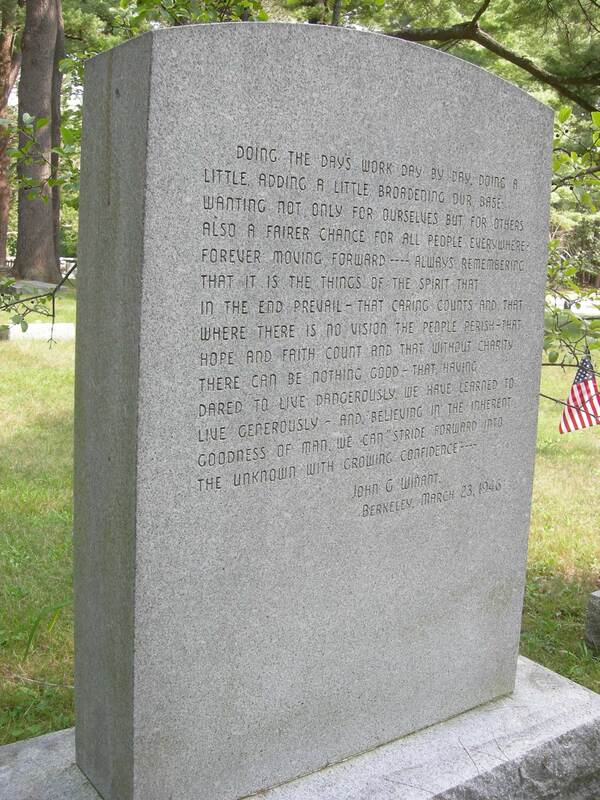 Historical Society, and whose family was close to Winant. Dean Dexter photo. Order the book Citizens of London here.